The lovely people at Flashmob Cosmetics sent me some neon Live Wired Hair Chalks in Brazen I've always wanted the Kylie Jenner crazy coloured dip-dyed hair but I'm too indecisive to get it done permanently - that is too much of a commitment for me, in a week I would probably want my pink highlights to be blue or back to brown. By using the chalks I could easily get the colour I wanted and wash it out when I didn't want it - yay! At first, I thought it wouldn't work on my dark brown hair but it worked perfectly and it was super bright! With these little compacts, you clasp your hair between the sponge and chalk and simply slide it down, BAM my hair was pink. 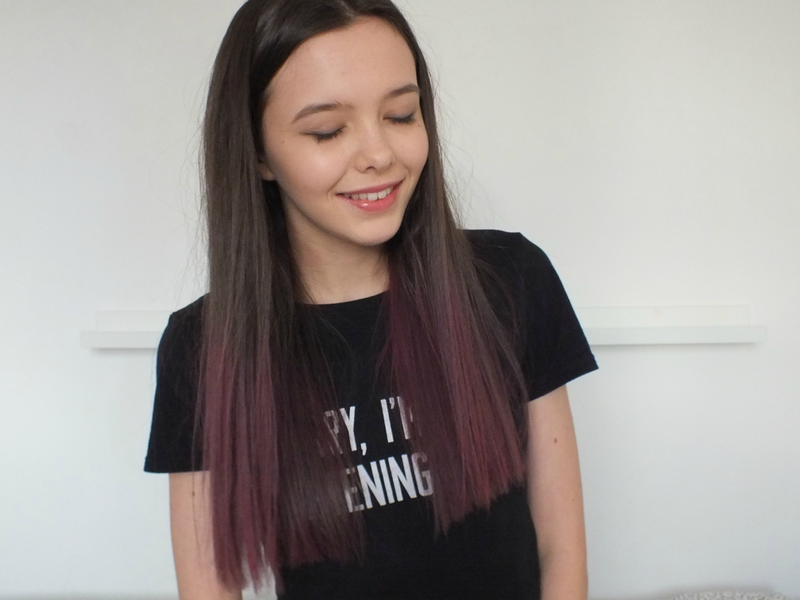 I tried the purple and pink and I loved it! I would love to try my whole hair one day, I did the ends of my hair (trying to be Kylie, of course) it was easy to do and quick - I am so happy with the outcome! I think it would be a perfect gift for someone that you know would love to dye there hair and try out different colours but wouldn't go permanent for whatever reason. It's also really fun trying out the un-natural shades on your hair. I did end up getting pink hands but it was easy to wash off. Overall, I love this product and Flashmob! 10/10! 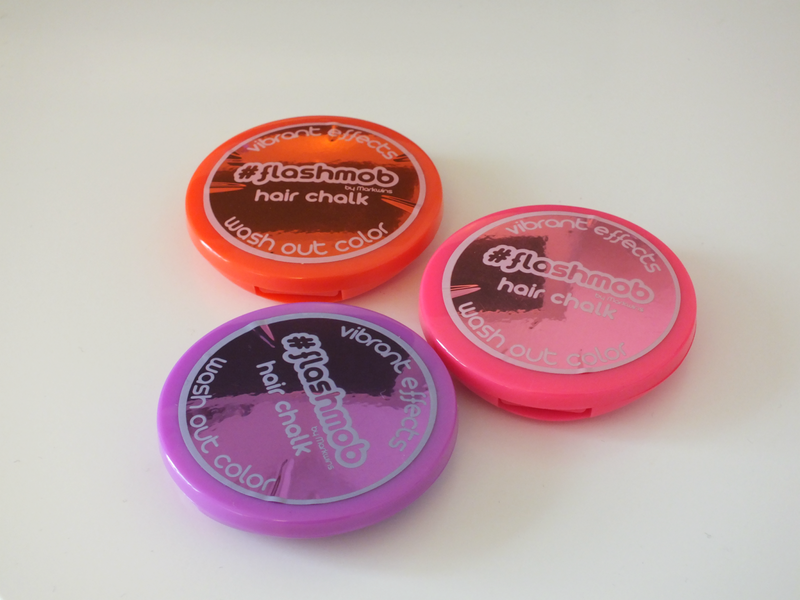 I still haven't tried hair chalk! It's so good to see how well it works on darker hair too. I want to give it a go, will definitely do it soon, this colour is gorgeous for you too! The colour looks so nice on you.